Now known as the Parkroyal Melbourne Airport Hotel, this Melbourne airport accommodation has to be the most convenient hotel for those seeking to rest up before continuing their journey. 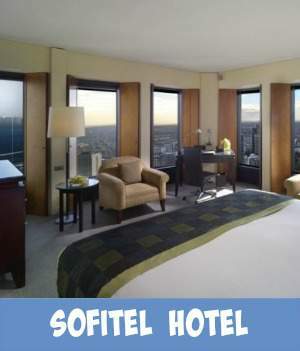 The hotel is situated adjacent to the Tullamarine airport domestic and international terminals and is connected to these by a convenient and covered walkway. Just a 2 minute walk across to the departure lounges has to give this airport hotel quite an edge over the others and the fact that it has a 4.5 star rating only adds to this luxuray hotels Australia experience making it a more memorable one. 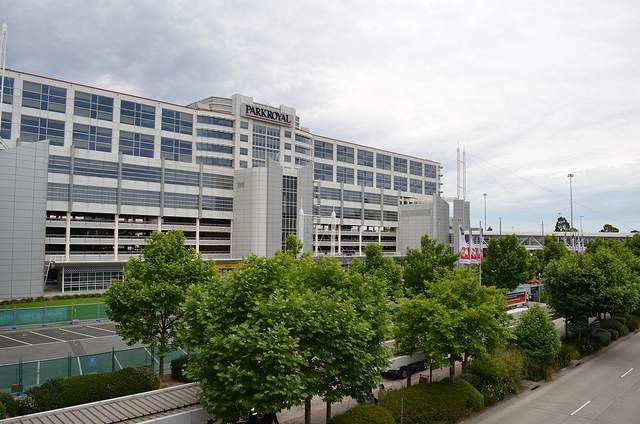 This Tullamarine airport hotel now belongs to the Pan Pacific Hotels Group, rebranding in 2011. Built on top of the multi story airport carpark allows all the hotel rooms to boast views over either the airport or the Melbourne city skyline. All the Melbourne hotel rooms are thoughtfully equipped for both business and leisure with broadband Internet access and complimentary amenities. The Hilton Hotel Melbourne airport hotel - PARKROYAL Melbourne Airport - is the perfect place to take a pause from your travels and rest up before setting off again. There is a Business centre located on level five offering convenient and professional services including printing, faxing, photocopying and Internet access. You may enjoy light meals delivered right to your door in the comfortable privacy of your own room. Like to sit down more formally? Dine in the Airo Restaurant offering you a delicious selection of fresh seafood and modern Australian specialties or feast on international favourites. For a less formal and more casual experience visit Café Airo to unwind with a cup of coffee. Feel like a drink before dining? Drop into the Bar Airo and enjoy a relaxing cocktail or savour a local beer or wine. 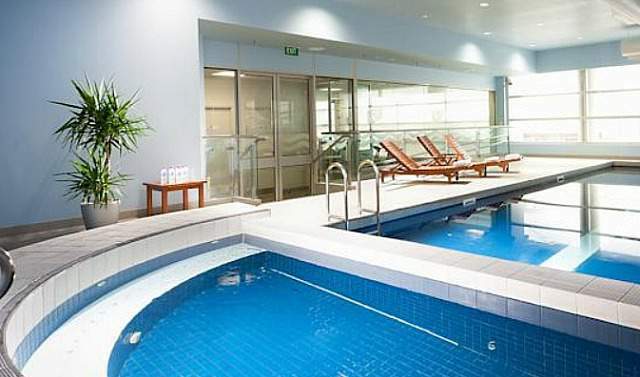 Work out in the fully-equipped, 24-hour gym and a view of the Melbourne Airport. Enjoy a refreshing dip in the 12-metre indoor lap pool, or relax in the adjacent heated spa, sauna and steam room. You can park your car at the hotel. From Monday to Thursday, car parking is available at a $20 AU per night fee. The Hilton airport hotel is the perfect place to hold a business meeting or convention with 16 meeting rooms and all rooms are equipped with the latest technology to ensure the highest standard for your presentation. 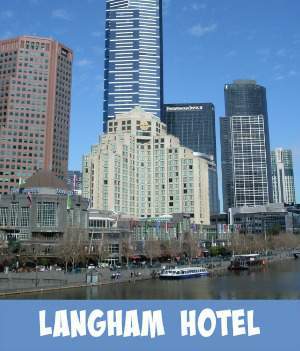 Should you wish to visit the Melbourne central city area the hotel can arrange transport for you and suggestions on what to see and do in and around the city area. There are some amazing things to see and perhaps you could fit in a short tour. May I suggest that you let my travel associate partner Booking.com look after all your accommodation requirements. Booking.com doesn't charge a booking, cancellation or amendment fee. 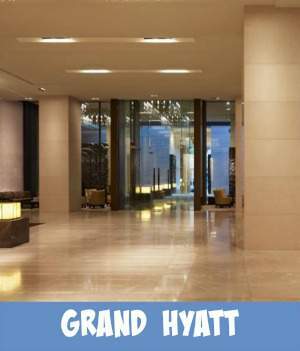 You are also able to pay the hotel direct. 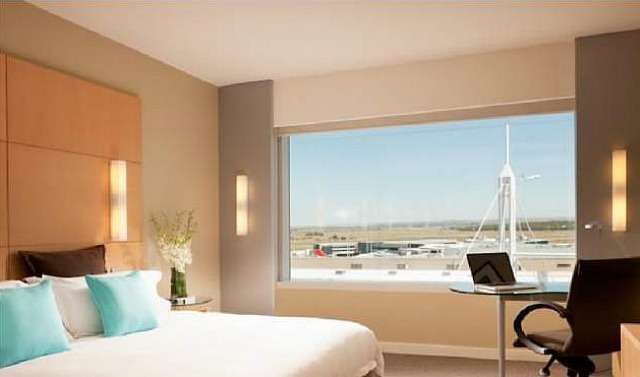 The Parkroyal Melbourne airport hotel provides the perfect spot to settle back and rest. The convenience of being right there at the airport ensures that no flights will be missed, you can relax and unwind, be pampered with professional and expert service whilst enjoying luxurary accommodation. Book now and settle back knowing that everything will be taken care of for you. One less thing to have to worry about. Looking For Luxurary Accommodation In The City?